Home Articles Did Igbo people “lose a war”? Did Igbo people “lose a war”? No, Igbo did not “lose a war”. 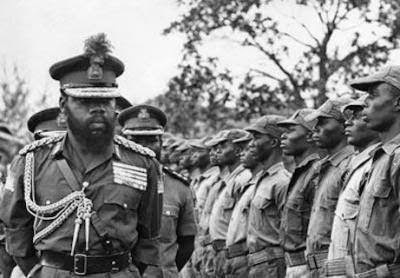 The Igbo did not “lose a war” between 29 May 1966-12 January 1970. No such “war” was waged in Igboland during this period. And this is not a case of semantics. On the contrary, what went on during those 44 months was a campaign of genocide against Igbo people by Nigeria and its allies, particularly Britain. 3.1 million Igbo, a quarter of this nation’s population, were murdered. This figure is about the total fatality of the Vietnam War (both sides – including all civilians, US combat troops, the Vietcong, North Vietnam troops, South Vietnam troops) between 1959 and 1975. To embark on a research of the genocide, it is indeed staggering to discover what a treasure trove for the researcher just watching or reading a clipping of statements/commentaries on this crime against humanity by an Obasanjo or an Adekunle or an Useni or an Awolowo or a Wilson or a Haruna or a Rotimi… This genocide is ongoing. Those who carried out the genocide do not, at all, deny their involvement in the crime... It is astonishing.